If you don't see the "Send SMS" button in the Sakari HubSpot module, check the contacts mapped phone number field in your Sakari account. 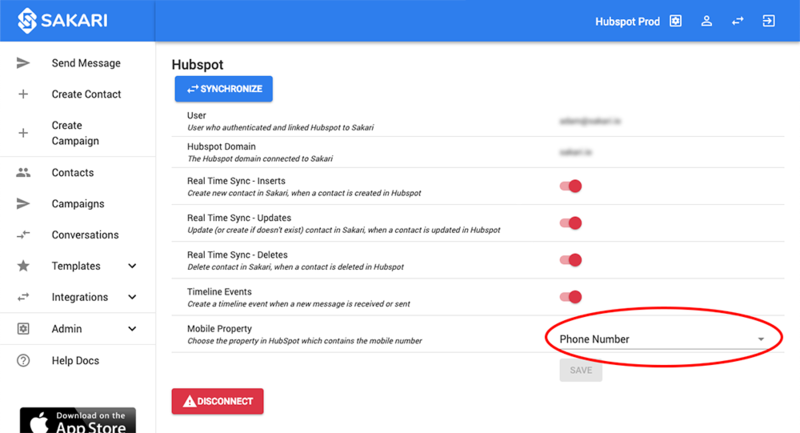 During the HubSpot integration setup, you can select if you prefer the 'phone number' or 'mobile phone number' field as the mapped field. If the contact does not have a phone number populated in the mapped phone field, the button won't appear. Select your preferred mobile property of either "Phone Number" or "Mobile Phone Number"